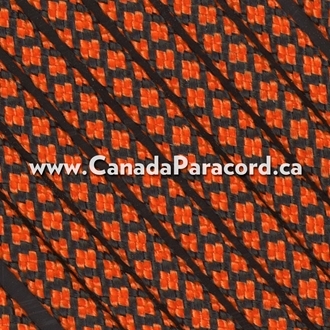 R&W Rope's 1,000 feet of Neon Orange Diamonds 550 paracord is a commercial version of Type III military spec parachute cord. Made in the USA, it contains 7 strands in the core. This cord has a tensile strength of 550 lbs. 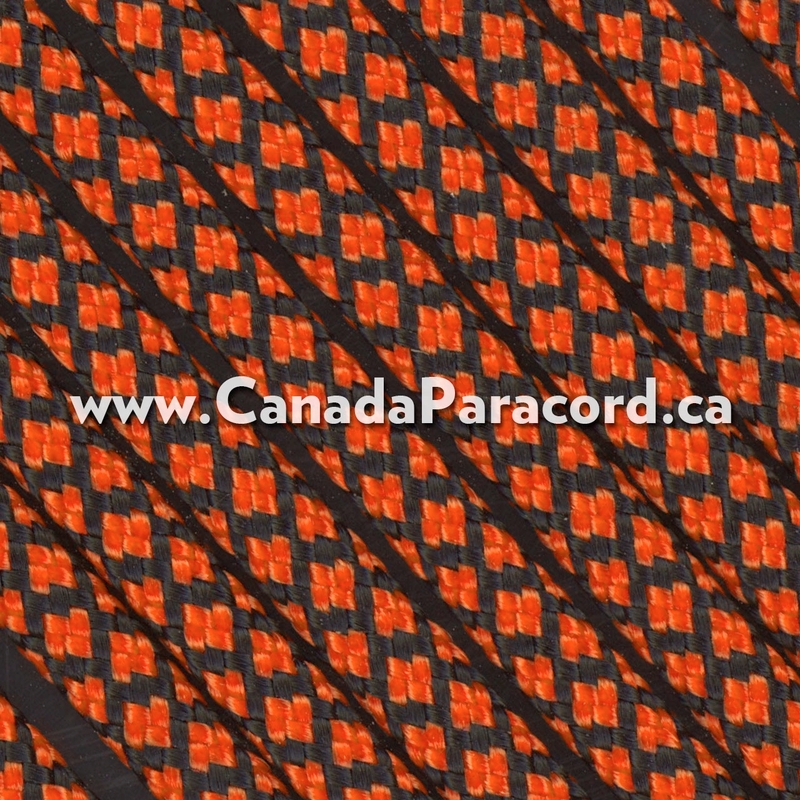 Made in the US, this neon orange with black criss-cross print 550 paracord contains 7 strands in the core giving this cord a tensile strength of 550 lbs. Light and strong, 550 paracord is great for camping, emergency, survival uses, and much more!